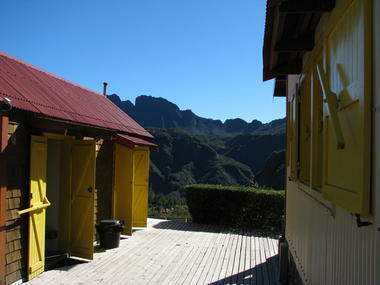 Mrs Yolande Hoareau's gîte in Marla is a traditional Creole case (cottage) made from sheet metal. 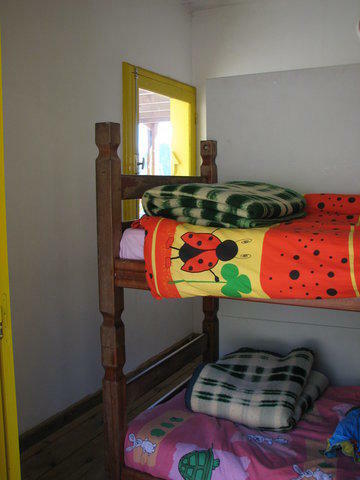 It has 4 dormitories each sleeping 3 people and 4 double bedrooms (twins). Panoramic views of the entire Cirque of Mafate. The gîte has private bathrooms with hot water depending on sunshine and solar electricity so that it is impossible to recharge phone, camera batteries … Blankets and sheets provided exept towels. Meals served upon reservation at the heart of a small Creole garden where a large plum tree watches over the small cottages. Low-season rate indicated. This gîte belongs to the Mountain Gîte Managers Association (AGGM). Pets not allowed. For baby cot or something else please contact the owner. 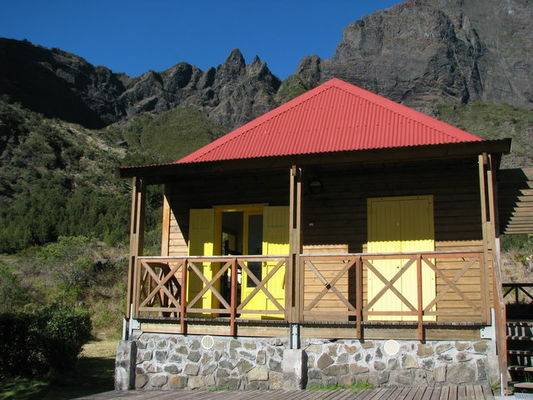 Environment / Access : Situated on the GR1/GR2 footpath, the Ilet de Marla is accessible on foot from the Col des Boeufs car park, from Roche-Plate, La Nouvelle or Cilaos via the Col du Taïbit.